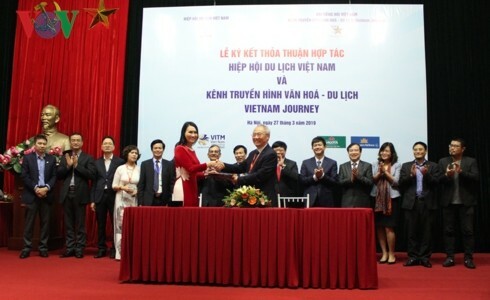 (VOVWORLD) - The Vietnam Journey TV Channel of the Voice of Vietnam (VOV) and the Vietnam Tourism Association signed a cooperative agreement on Wednesday at the Vietnam International Travel Mart 2019 in Hanoi. VOV President Nguyen The Ky address the signing ceremony. Vu Thi Thanh Tam, Director of the Vietnam Journey TV Channel, and Vu The Binh, Vice Chairman of the Vietnam Tourism Association, shake hands after signing the agreement. 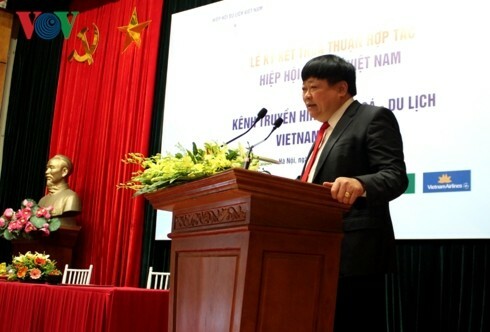 Vu The Binh, Vice Chairman of the Vietnam Tourism Association, said the cooperation will mark a turning point in the communication of the tourism sector. “Communications is vital for tourism. 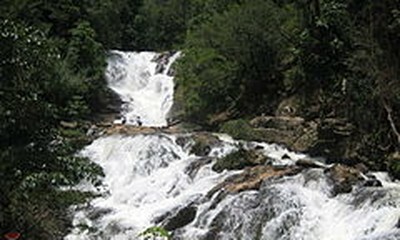 The Vietnam Journey TV Channel will introduce Vietnamese tourism and inspire tourists and travel agencies. The Association will accompany VOV to garner support from domestic and foreign travel agencies for the Vietnam Journey Channel to promote Vietnamese tourism.” Binh said. The Vietnam Journey TV Channel was transformed from a TV Channel of VOV on January 1, 2019 to specialize in culture and tourism.